Posted on April 19, 2019 by Richard P.
In the digital age, it’s easy to assume that print marketing tactics like direct mail are dead. That’s definitely not the case, though. Direct mail is still a viable marketing technique — it even has a better response rate than email or mobile marketing efforts. Clearly, there’s a lot of misinformation out there regarding direct mail, and it’s time to learn the truth. Read on to learn some important facts that will make you think twice about ditching the direct mailer. If you’re looking for a cost-effective marketing solution, direct mail is the one to consider. It’s highly economical and is easy to scale. There are lots of programs out there that will help you create eye-catching direct mail pieces without requiring you to spend a fortune. You can also scale your printing so that you produce only what you need. It’s easy to start with a small quantity to test out a campaign and then print more items later. Direct mail advertising is highly targeted, too. You can purchase mailing lists of potential customers and figure out exactly which kinds of people are going to be most inclined to purchase your products or services. There are lots of distributors who sell mailing lists to help you streamline your approach and make sure you’re only sending direct mailers to people who are likely to make an investment in your business. It’s easy to measure your results from direct mail, too. For example, you can keep track of the coupon codes people are using and figure out how many people took advantage of a specific promotion during a specific period of time. You can also ask new customers to tell you how they heard of your business and figure out how many people came in as a result of the mailer you set out. Direct mail provides lots of opportunities for individualization, too. As you probably know, individualization is key to success in marketing. 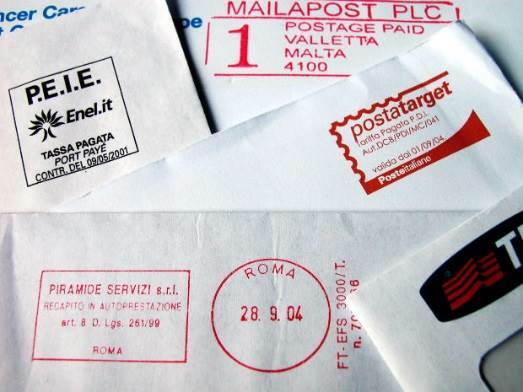 Direct mail lets you address mailers to specific individuals. This enhances the reader’s experience and increases the likelihood that they will actually take advantage of the promotion you’re offering. Finally, direct mail provides you with a lot of flexibility. There are tons of different types of direct mail you can send out, and it’s easy to choose one that fits your budget and specific business goals. Smaller businesses can make use of postcards or brochures, while larger businesses can offer free samples or larger mailers that provide additional information about their products or services. Clearly, the direct mailer is not dead. Direct mail can be a great help to your business and can significantly expand your reach and improve your marketing efforts. Do you need help creating the best direct mailers for your business? Whether you’re looking for design and printing help or marketing advice, we’ve got you covered at i.t.i.. Contact us today to learn more about our services and learn how we can help your business continue to thrive. Posted on April 5, 2019 by Richard P.
54% of people look forward to receiving mail from brands they like. Even in the age of email and messenger marketing, it’s clear that business mailers are still an effective and economical marketing tool. With that said, there are a few practices businesses should follow — and avoid — in order to maximize their ROI. 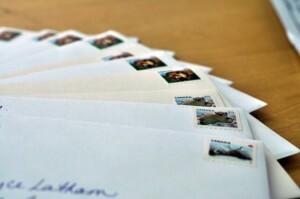 Here are six do’s and don’ts to consider when sending out business mailers. Success means something different in each campaign. Before designing a direct mailer, consider your business’ goals. What is it you’re hoping to gain from your mail campaign? With a goal established, you’ll have an easier time gauging the success of the campaign. Next, consider the audience for the mailer. This will help inform the tone, design, and scope of the campaign. Since the mailer is indicative of your business, it’s crucial that it looks as professional as possible. That means keeping your mail error-free. Always get a second opinion before sending your mailers out. Check for misspellings, grammatical errors, and design issues that may detract from your message. Read your copy out loud and see if it’s clear, legible, and easy to follow. When designing a mailer, it’s important to remember how much other advertising you’re contending with. On average, people see around 5,000 ads per day. If a customer doesn’t perceive value moments after opening their mail, you likely won’t drive them to engage with your brand. Therefore, make sure you’re grabbing their attention from the get-go. Write using the inverted pyramid. Include the most important details first, i.e. the value, to draw them in. Direct mail is a great way to engage with an audience. However, it’s far from the only method. Don’t forget to include details about your other channels such as social media pages, your website, and contact information. The more ways a customer can interact with your brand, the better. A strong call to action inspires your audience to follow through and act on your campaign’s message. Always end your mailers with a quick, direct, and detailed CTA that encourages the reader to take the next step. 44% of junk mail gets thrown away without ever getting opened. To prevent your mail advertising from ending up in the trash bin, keep snail mail campaigns sparse. While it’s important to follow-up with customers and keep them informed, too much of a good thing can lead to frustration. Space out direct mail campaigns and remember that you don’t have to send mailers out to your entire audience. Business mailers are still a fantastic way to reach out to your audience. By using these six do’s and don’ts, you can create strong, impactful mail campaigns that speak to your audience and their needs. To learn more and get a custom quote for your business’ campaign, get in touch today. Posted on March 15, 2019 by Richard P.
As a small business, around 7-8% of your gross profit should be spent on marketing. But when you’re starting out and money’s tight, you need to get creative and look into some inexpensive or free marketing ideas. Are you running out of things to post on Facebook? Whatever happened to print ads, anyways? Let’s check out 6 tips for economical marketing for small businesses. There’s nothing that costs less than free, so social media’s a great and inexpensive tool to stash in your marketing belt. Research which social media platforms are popular with your company’s target market. Don’t just stick to one — choose 2 or 3 channels that are most relevant to your business and use them to showcase your products, services, sales, and coupons. With all the mass marketing around today, the personal touch has become rare and valuable. Get greeting cards printed with your business name and logo and send these out wherever possible. To make them even more personal, go for a handwritten note. Thank-you notes are especially appreciated and will boost your company’s reputation. Who doesn’t love magnets? Magnets are practical, which means they’re far more likely to be kept by your clients and stored on a fridge. Your magnet could be used to hold up the kids’ artwork, a shopping list, or the phone bill. But whatever its use, it’ll be a daily reminder for customers to bring you their business next time they need your services. Guest posts are another free advertising tool. Partner up with another business in your field and write a guest blog for them. Look for a popular company that gets a lot of traffic to their website. That way, you’ll have a potentially huge influx of their customers to your website — kerching! Pens are another inexpensive way to promote your business. Again, pens are practical and tend to go around; it’s very unlikely they’ll get thrown away. Opt for the best quality pen you can afford, and use a cool logo design or slogan to make it pop. Finally, calendars are a great and economical free gift to give your customers and prospects. Everyone likes to feel they’re getting something for nothing, and calendars come in handy in every home and business out there. Make sure your calendar is designed to perfection; the better it looks, the more prominent it’ll be. Another tip is to include coupons applicable to each month. That way, your calendar is likely to be kept, displayed, and utilized. When it comes to the advertising budget, small businesses need to think outside the box and consider some cost-effective marketing ideas. 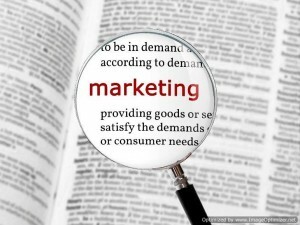 What kind of economical marketing for small businesses is out there? Social media and guest blogging are both free ways to get noticed by prospects and potential clients. But traditional marketing is still a serious advertising tool. Physical products like greeting cards, magnets, and calendars all give a sense of value for money and promote goodwill. Do you want to look for some inexpensive products to add to your advertising arsenal? Then check out our store today.